Nearly 9,000 people attended the first night of the Celebration of Love in Tokyo, with a few hundred streaming forward at the end to accept Christ. 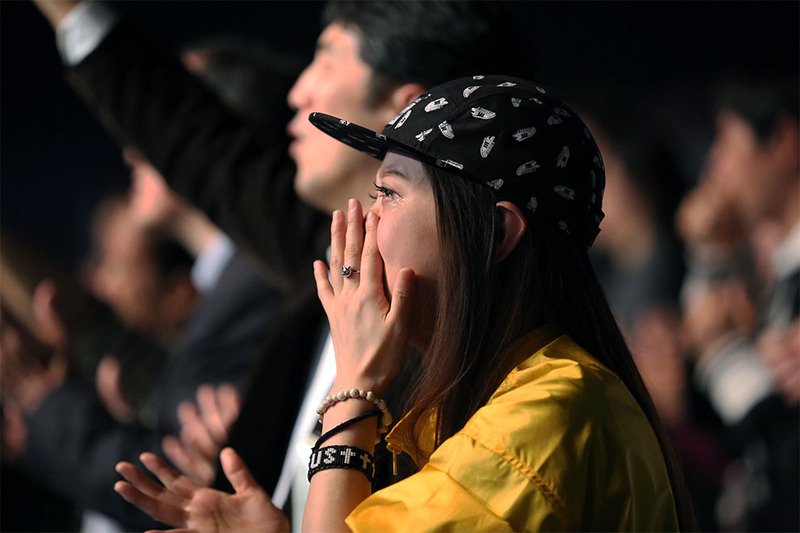 Some local Christians who attended got emotional just seeing their fellow Japanese fill an arena to hear the Gospel. There was a lot of running going on at Tokyo’s Budokan arena Friday night. It was the start of the Celebration of Love, a four-day event in the world’s largest city, and although people were running for different reasons, they all ended up in the same place. “There are people here tonight, some of you are running from God,” Franklin Graham said, looking into the audience. Christians make up less than 1 percent of the entire Japanese population, and many in Japan see no need for God. Millions of hard workers put in long hours each week, but what’s it all for? Franklin Graham spoke of a greater purpose in life—the big picture that comes from knowing a personal, caring God. He added that he, too, ran from God for a long time, pursuing what the world had to offer, “but there was an emptiness inside” until he turned things over to Christ and asked forgiveness of his sins. For many in Japan who have little concept of sin, Franklin described it as “a barrier between us and God,” things we do that are against His will for us. Franklin’s message centered around the Prodigal Son from Luke 15—a restless young man who wanted things his way but couldn’t find satisfaction and returned to his father. Counselor Tae Okuma is kind of a prodigal daughter. Okuma has been a Christian for 45 years now, but as a child, her Christian parents had to drag her to church. She didn’t want to go. “The pastor said, ‘Well, you’re coming anyway,’” she laughed. Okuma eventually ran out of excuses for not following Christ. “I tried running away and hiding, but He kept coming after me,” she said. Today, she’s thankful He never gave up on her, and on Friday, had a chance to see someone else experience God’s grace. 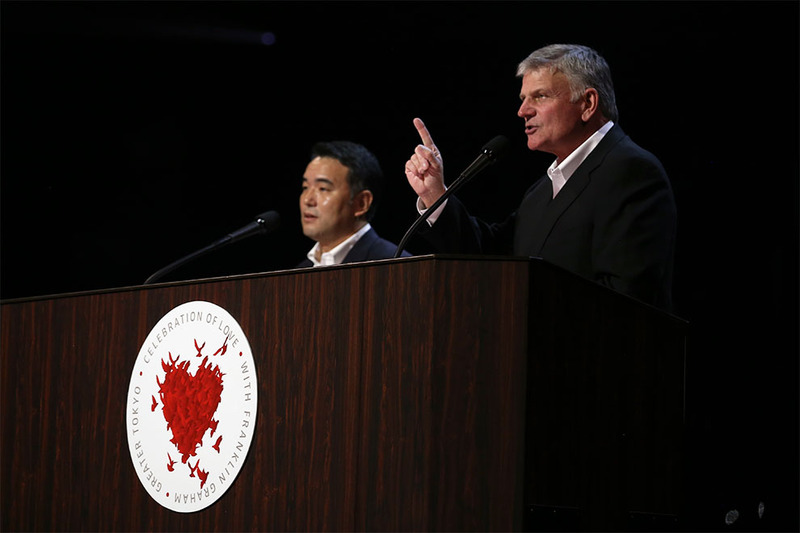 “Mankind is searching for happiness and purpose and peace in life,” Franklin Graham said through an interpreter. After Franklin’s message, Okuma huddled with four girls still in their school uniforms. Three of them attend church and came forward with their friend in support of her decision to ask Jesus into her life. The girls held hands as their friend prayed to accept Christ. Like Okuma, counselor Yasumasa Muroi also did some running, but instead of running away, he found himself chasing a man he’d never met. A gray-haired man came forward at Franklin’s invitation, but didn’t want to stick around to speak with a counselor. Muroi, who was looking for someone around his age to counsel, spotted the man leaving and ran after him to bring him back. The pair talked for a long time and by the end were treating each other like old friends, patting each other on the back and waving goodbye. The man had visited a church six months ago at the invitation of a pastor but was still uncertain where he stood with God—until Friday night when it became clear he needed Christ in his life. “This is my first time doing something like this,” Muroi said. When he became a Christian, he thought that was enough, but lately has felt God telling him that he also needs to share his faith with others. He admitted to his wife that he was nervous about counseling people at the Celebration, but said he was glad he did. Moments earlier, not far from Muroi, a girl clenched her hands together in prayer and later wiped away tears as she spoke to another counselor. A woman across from her came forward with three children, kneeling beside them as they prayed, then hugged them when they finished. With such a small Christian population, it can be hard to be a Christ follower in Japan. Please pray for the hundreds who asked Christ into their lives. Are you running from God today? It’s not too late to turn back to Him. Everyone in the venue had a seat, but many got on their feet to sing along to local Japanese bands, Hillsong and Michael W. Smith. The people of Japan are generally reserved, but Friday night, hundreds raised their arms and clapped along. “This is more than just a concert. 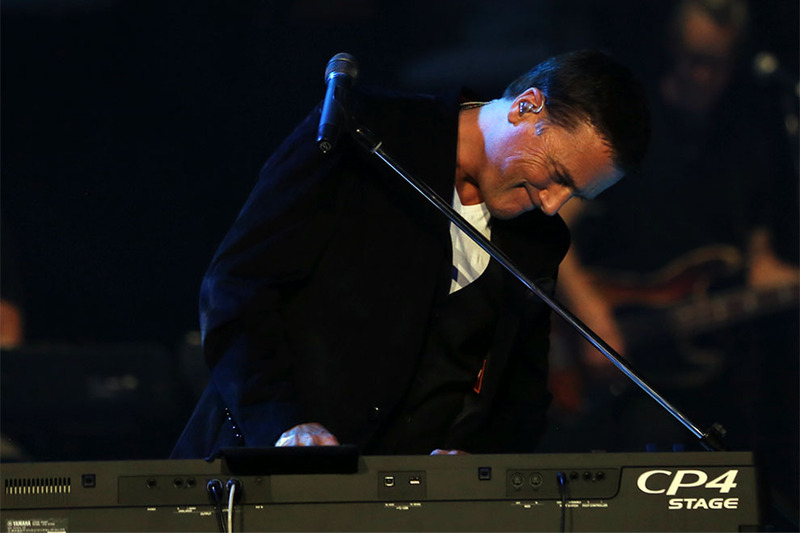 We are here to celebrate the goodness of God,” Michael W. Smith said.